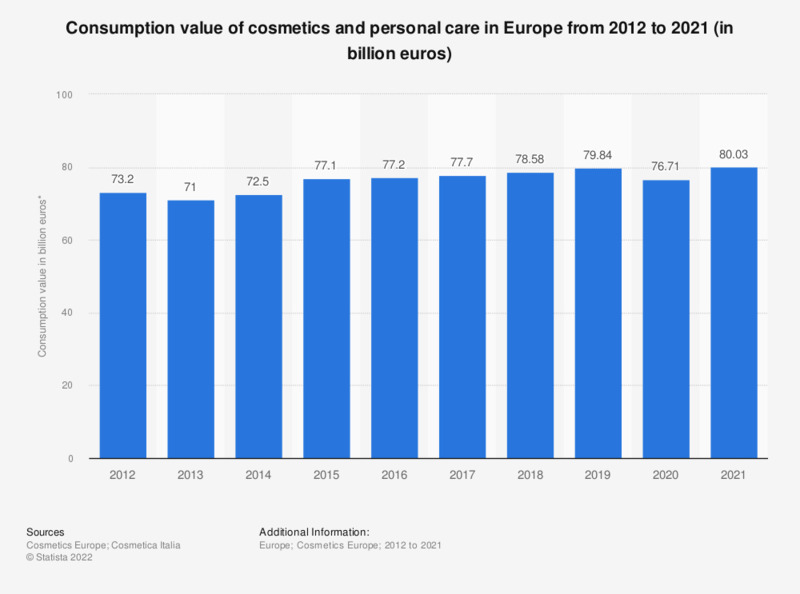 This statistic shows the consumption value of the cosmetics and personal care in Europe from 2012 to 2017. In 2017, approximately 77.7 billion euros worth of cosmetics and personal care products were consumed in Europe. * Value of retail, based on retail selling price (RSP). Data for years 2015 to 2016 was taken from a previous annual report by Cosmetica Italia. Data for years 2012 to 2014 was taken directly from a publication by Cosmetics Europe.